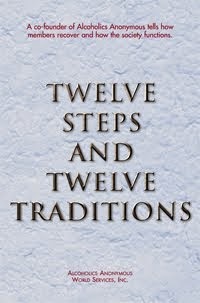 This Twelve Step program works wonders on many levels. But one of the most noticeable changes I’ve seen in my life has been in the area of compassion. Eating disorders can really mess a person up. All of us who have the disease of compulsive eating, in no matter what form, have been laughed at, discriminated against, or generally overlooked by those who don’t suffer from our disease. So, one would think that compulsive eaters would be more loving and understanding to their fellows. For the most part this is true. But I have seen compulsive eaters be just as cruel as our more normal-weight counterparts. If we can mistreat each other, how can we ever expect others to treat us differently? We need to remember where we were in our disease, for there are others in that same situation. We need to see ourselves in the newcomers to our program, because we run the risk of returning to where they are now. “There but for the grace of God go I” takes on a whole new meaning when we apply that phrase to our situation. 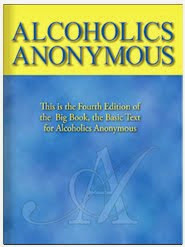 Sometimes we see varying degrees of success in this program of recovery. We must each work our program, and allow our fellows to work their program. It’s not up to us to take someone else’s inventory concerning the success or failure of their program. We need only to keep our own side of the street clean, and to show compassion to those of our fellows who are struggling. After all, compassion was what prompted the founding of our fellowship in the first place. I will consciously practice compassion toward those who still suffer, because I remember where I came from on this path, and realize I could return there.